(read: mine). That, and it looks way more expensive than the less-than-$100 price tag. I say snap it up while you still can. Previous THE PERFECT STRAPLESS DRESS. i want to thank you for such a good thing. Love this outfit! 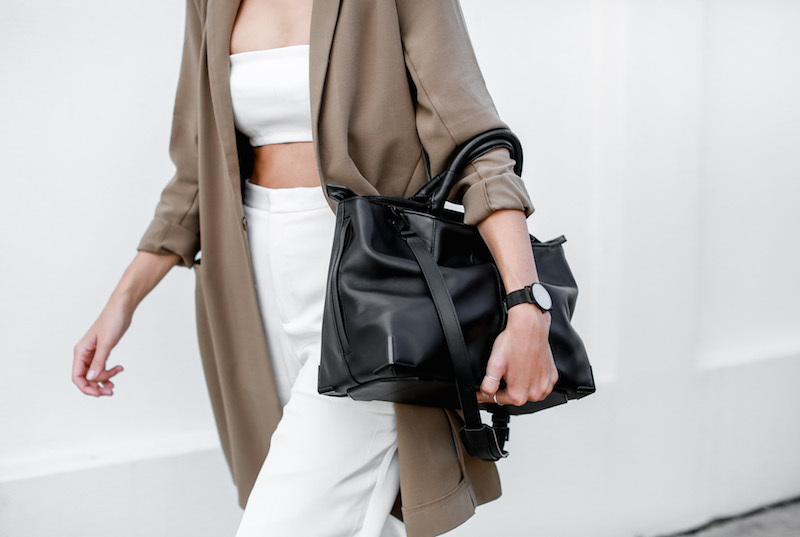 Minimal and chic perfection. Cool as always! Love the colors together! Love the cool and relaxed vibe of this look! Classy blazer and sleek, clean silhouette, love this style! Where's the tube top from? super love this! very clean and stylish! In love with this look. I loveee that blazer!! I was eyeing it up online a few days ago, now it needs to be mine! Wonderful outfit, so stylish and fashion forward!